For home desktop users and small offices looking for a steady, reliable printer for documents, especially monochrome prints, the Brother HL-5250DN is a sure choice. Built especially for monochrome printing, the Brother HL-5250DN packs uncanny speed, reliability and affordability that few printers can match. The Brother HL-5250DN, with dimensions at 14.6" x 15.1" x 9.7 for its width, depth and height comes in relatively compact, and can also be considered a lightweight compared to other laser printers at only 21.6 lbs.This makes the HL-5250DN quite ideal for homes and small business offices as will not take up too much space while still being very reliable for its size. The HL-5250DN is also sturdy, with its paper tray able to hold up 16-28 lbs, while the multi-purpose tray capable of handling 16-43 lbs. The HL-5250DN features a 266MHz processor speed with a default 32MB RAM, which can be upgraded up to 512MB. 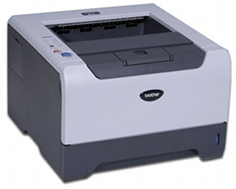 The HL-5250DN is famous for its speed, clocking at an impressive rate of 30 pages per minute for monochrome prints compared to laser printers almost double the HL-5250DN's price that usually produce an average of 20-22 pages per minute speed. This makes the HL-5250DN quite ideal for offices who need to produce high volume prints on a daily basis. Its printing resolution is as impressive, able to produce up to 1200x1200 dpi resolution, giving a clear and crisp detail on its prints. Graphic printing for the HL-5250DN also produces quality greyscale images. Another feature is its Ethernet capability doubled with an integrated network server that allows for remote controlling. This remote control capability of the HL-5250DN is really handy when it comes to users who engage in office multi-tasking. For a printer made for high volume monochrome prints, the HL-5250DN also supports duplexing for printing on two sides of paper simultaneously. This is very convenient and also helps if one is trying to be more economical in terms of paper use. The printer's paper tray holds up to 250 sheets, with a multi-purpose tray for an additional 50 sheets. The HL-5250DN also has an output paper capacity of 150 sheets, and can handle various paper types. Its paper tray handles letter, legal, and executive, as well as A and B paper types. Its multi-purpose tray includes handling for envelopes and custom sized papers, from 2.75-8.5 inches in width and 4.57-14 inches in length. But the real catch for the HL-5250DN is the combination of the printer's speed and affordability, costing at around $230, even if it's only for monochrome printing. In addition to the HL-5250DN cost-friendly features, a Toner Save mode is included that helps prolong the use of toner cartridges. The HL-5250DN's speed in monochrome printing comes at a price, unfortunately. At 53 decibels when printing, the HL-5250DN is a bit noisy and might be a cause of concern for small offices where a quiet environment is considered a premium. Also, if you are looking to cut cost in power consumption, the HL-5250DN will make it hard to do so as it consumes 610 watts during printing, comparably higher than other laser printers. The HL-5250DN does not come with an LCD display, which would have been a nice addition to complement this printer's capabilities. Another concern would be its difficulty in envelope feeding, which a lot of offices, big or small find as a necessary value in getting their printers. The HL-5250DN also has relatively little capacity at 250 sheets for a high volume printer, and although the HL-5250DN's paper tray can be upgraded, the optional upgrade is rather costly. Review it: "Brother HL-5250DN "
The HL-5250DN comes with a standard-yield toner cartridge with a 3,500-page capacity, and a drum unit that produces up to 25,000 pages. 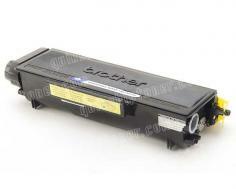 A high-yield toner cartridge is an option, which will increase the HL5250DN's capacity to 7,000 pages. 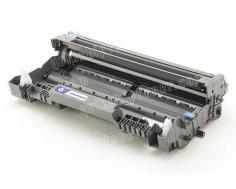 The HL-5250DN also has a maximum duty cycle of 20,000 pages per month, with replacements for toner cartridge costing .99 cents per page, while the cost including drum replacement after the cycle is at $2.2 per page. 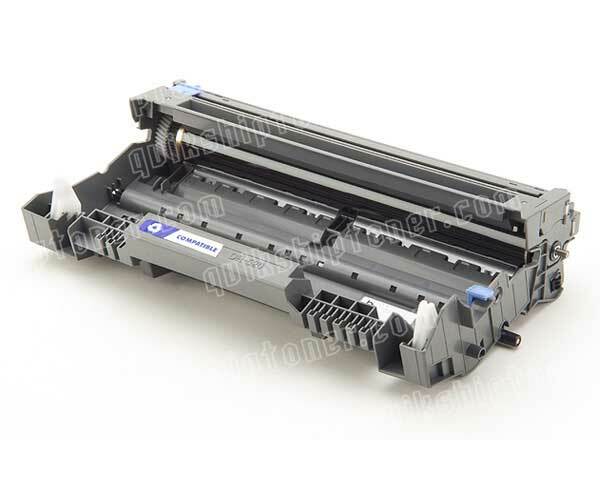 Replacing the toner cartridge is quite easy, although the entire drum assembly needs to be pulled out of the printer before removing and placing in a new cartridge.